Welcome to the website of Mu Beta Psi, National Honorary (Co-ed) Musical Fraternity – Nu Chapter at SUNY Oswego. The Brothers of Mu Beta Psi are a diverse bunch that can be found not only in Tyler Hall, but all over the campus and the Oswego community! If you have any questions regarding our Fraternity, please do not hesitate to contact any of us. Feel free to navigate our website to learn more about us! 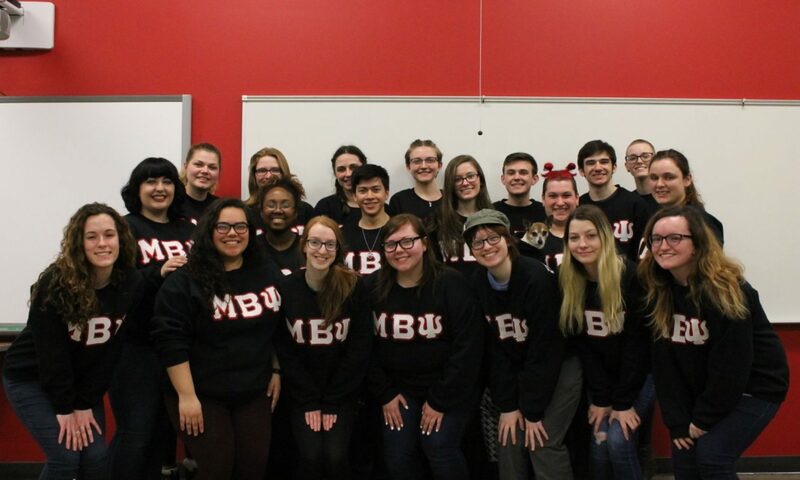 Nu Chapter is a branch of Mu Beta Psi, located at SUNY Oswego. The Chapter was founded on April 10, 1994, with help from previous advisors; Dr. Julie Pretzat and Dr. Marilyn Smiley. Our current advisor is Dr. Juan La Manna. To honor those outstanding men and women who have devoted their time and efforts to the musical organizations at the educational institutions of the respective Chapter. You do not need to have a music major or minor to join our beloved Fraternity! All we ask is that our members share a strong love for music, and commitment to serving the Music Department + the Oswego community. 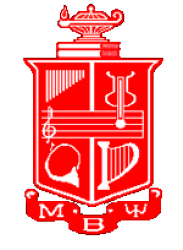 Mu Beta Psi is the National Honorary Music Fraternity, founded by Major Percy W. Price on November 5, 1925 at North Carolina State University, becoming our Alpha Chapter. It was created as a Fraternity meant to bring musicians of all backgrounds together on a campus, combining the values of academic achievement, service, devotion to music, and Brotherhood – united by a bond unique to any other. Originally consisting only of males, the organization decided to allow women in 1961. Today, there are seven active Chapters: Alpha (1925) Ι Zeta (1967) I Nu (1994) I Pi (2007) I Rho (2008) I Tau (2011) I Alumni Association (1970). Our primary focus here at SUNY Oswego is service. Brothers aim to serve the Music Department in any way possible. We can be seen ushering most music events held on campus, as well as many theater events. In addition to ushering, we help the Music Department by running errands for professors, watering pianos, and offering short-term tutoring in select classes. The New Member Education Process is a semester of getting to know the Fraternity and its Brothers as they get to know you. The The New Member Education Committee carefully guides accepted new members through this process. The time commitment is small, however, the more you put into the process, the more you get out of it. This is an amazing opportunity to make new incredible friends not only on campus, but nationally, that will last a lifetime. If you are interested in our New Member Education process feel free to contact the New Member Educator at mbp.nu.pc @ gmail.com.